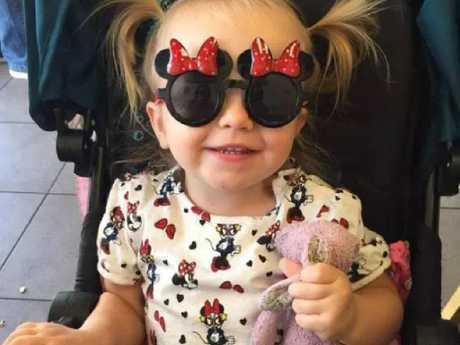 A FAMILY'S dream holiday to Disney World was ruined after British Airways left them stranded for 90 hours and their toddler was forced to spend her birthday on a plane. 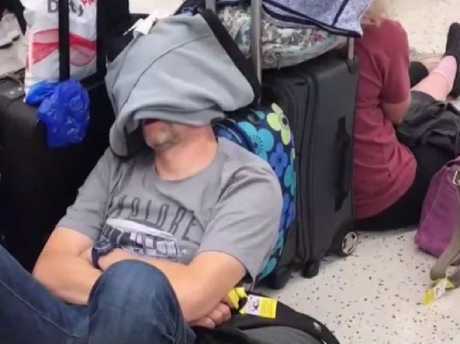 Furious passengers on the London-bound flight 2036 from Orlando, Florida have blasted the airline for leaving them hungry, tired, and without a bed to sleep in on a 90-hour trip from hell. 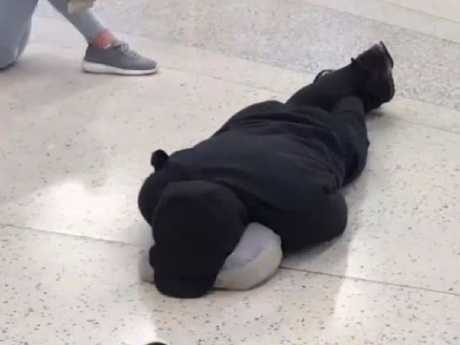 Lee Sullivan was one of around 200 exhausted passengers who finally touched down at Gatwick at 6am on Sunday, local time, nearly three days after the flight was due to land, The Sun reported. 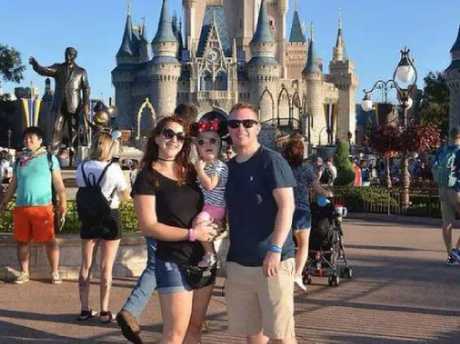 Mr Sullivan, a PE teacher from Slough, England, had taken advantage of the half-term break to visit the resort with partner Kimberley Millhouse, 30, their young daughter Amelia and Kimberley's dad, Bob Parsons. 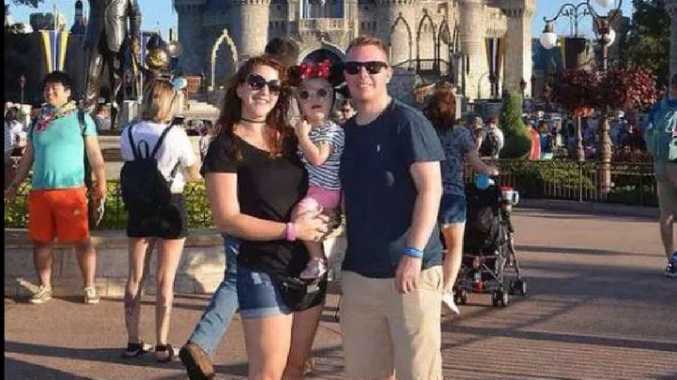 "Disney World was amazing but that holiday now feels like years ago. The journey home has completely ruined the holiday," he told The Sun Online. "I'm just shattered - the whole thing's been a nightmare." 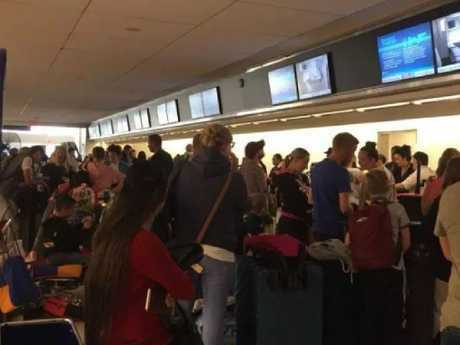 Passengers first boarded the flight in Orlando, where they were made to wait for four hours before they were told to disembark due to "mechanical issues". They were given just one bag of pretzels and two small glasses of water during that time. "By the time we got to a hotel it was 2.30am and we hadn't eaten, we weren't told what was going on," he said. "We just wanted milk for our daughter, we'd even run out of nappies. "We were just so hungry, so tired, all the passengers' kids were fairly unhappy, we didn't know what was happening." Once at the hotel they were finally squeezed into a room where four of them were expected to share a tiny bed. They were told by British Airways they could spend $48 on room service - but after the hotel said they'd have to wait three-and-a-half-hours for any food, they went to bed hungry. On Friday, after further delays to their pick-up, they finally rejoined other exasperated passengers at Orlando that evening. Finally in the air, they suffered a further nightmare when the plane reportedly began dumping fuel mid-air after the brakes overheated. "The plane began loudly vibrating mid-air, it was very loud," Mr Sullivan said. "We were petrified, no one knew what was going on. "We were then diverted to JFK for an emergency landing, but we were never told that." Once in New York, Mr Sullivan and his family were some of the lucky passengers to be taken to a hotel, while others were forced to sleep on the floor. "People were infuriated, " he said. "But it was never ugly - passengers really came together. "But people were really upset." British Airways told them there were only 20 rooms available because of the New York marathon - and all four of them were given just one tiny bed to recover before a planned evening flight. Hours later, after a further excruciating delay, the original passengers boarded the flight home. "Worst of all was having to cancel Amelia's birthday," said Mr Sullivan, who had to cancel an entire mobile petting zoo he'd organised for her 2nd birthday on Saturday. "We just had to grab a cake from (department store) M&S at Gatwick, and cancel the 40 guests who were meant to come over." Fellow passenger Rosie Slater-Watts has slammed the airline for the "carnage". "This was supposed to be a holiday of a lifetime. They've left us remembering the abominable service and treated us with contempt and as second class citizens," she said. "They refused to let us sit together on the flight back from JFK until I broke down. "They told us when we boarded the aborted plane that they couldn't confirm if they had fixed the fault. It was as if they were using us as guinea pigs. "God forbid it wasn't a severe fault. How dare they use us in that manner. Cannot believe our children had to sleep on the floor of an airport terminal for five and a half hours whilst you advise that you are looking after us." Another upset passenger said: "Imagine having a little daughter spending their birthday in a terminal, sat on a rock hard floor and not knowing when they're going to eat, sleep or have a safe place to stay. "Put yourself in the footsteps of that family and think about what you are doing." Another angry passenger wrote: "#BA2036 still sat here no apologies. Air stewardess walking around laughing my children having to sleep on a cold stone floor. No food on flights. "Utter utter disgrace. Thanks BA for ruining the holiday of a lifetime #BAdontcare #ijustwanttogohome". A British Airways spokeswoman said there were limited rooms available due to the marathon, and that some customers were rebooked on to new flights. She said others were given hotel rooms or accommodated in their first class British Airways lounge. "We appreciate that this was an exhausting and frustrating experience for our customers, and we have apologised for the long delay to their flight," the spokeswoman said.